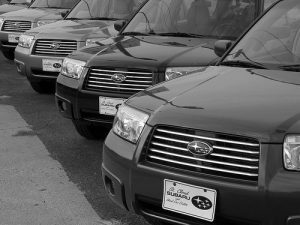 In an earlier blog post, we discussed the pros and cons of buying a new vehicle versus buying used. Much like the discussion of buying new or used, trying to decide whether or not to lease a vehicle is very subjective. There’s no one-answer-fits-all as your decision will depend on your wants, what you can afford, and how far you drive daily. Here is a list of the top pros and cons to think about when trying to decide if leasing is right for you. Drive a new car. If you’re someone who likes a new car every few years, leasing is probably for you. You can drive a better car for less money. Payments are typically lower. One of the biggest benefits of leasing a car is the lower out-of-pocket costs when acquiring and maintaining the car. Leases require little or no down payment. There are no upfront sales tax payments. Lower repair costs. If you choose to lease, the manufacturer is responsible for workmanship and material defects; they are responsible for the structure and integrity of their vehicle. The terms will differ for each manufacturer. Typically, with a three-year lease, the factory warranty covers most repairs. Tax deduction. Lease payments can be deducted from your taxes if you use your car for business more than fifty percent of the time. Before you decide to lease a car, check with your accountant for details. There are also tax deductions for financing a business vehicle, but they’re not as great as lease deductions, especially for more expensive vehicles. Limited number of miles. Lease contracts limit the number of miles you can drive. These mileage restrictions are usually 9,000, 12,000 or 15,000 miles per year. If you decide to lease, it’s important to estimate how many miles you drive a year so you can determine how many miles to purchase. If you go over the amount you purchase, you’ll have to pay a fee per mile at the end of the lease. These overage charges can be expensive. It might feel like you’re wasting money. Getting a new car every couple of years without having to sell your current ride seems great, however, it might also seem like a waste to pay for something that’s never really yours. You spend money on gas, monthly rent, and upkeep, what do you have to show for it in the end? Paying for wear and tear. Lease payments allow for basic wear and tear, but if there is excessive wear or scrapes, you’re responsible to pay for those fixes. If you fail to do so before the lease ends, there will be penalties. Costly to change your mind. It can be expensive to terminate a lease early if your driving needs change. Need an auto body professional? Call Great Plains Auto Body at 402.334.7100. Make sure to follow us on Twitter and Facebook.